Reach out to those in need-no matter where who or where they are. This song was inspired and written when the Berlin Wall Came down. Still I can hear the voiceless cries of lonely souls. That if we just turn our heads, the pain will go away. Another poor man?s dream is shattered. What can one man do to turn this around? You?ll find spirits less fortunate than you. To everybody, every minute of your life. While Father Time is waltzing out the door. Then how do we explain the threats of terror on our shores? If we don?t feed the olive branch it will wither. Where hope had lived before? Do these sacred yellowed pages hold the secret to life that love can last. If you need someone to REACH OUT, REACH OUT to you someday. Thanks for supporting Frosty Lawson! 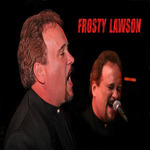 Would you like to help Frosty Lawson get heard by industry pros by buying them a song submission credit to Broadjam Music Licensing Opportunities?